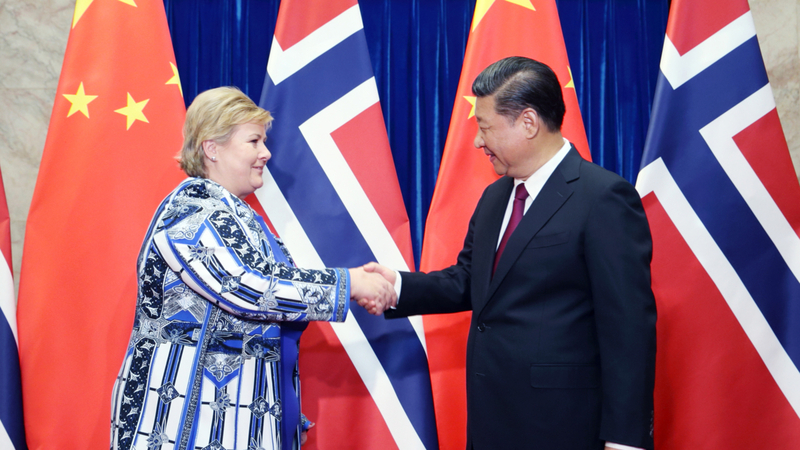 ADAPTING: 'Norway has clearly adapted to a reality in which China demands more respect for its interests, and many may believe that the Norwegian China-policy when it comes to human rights and political values is especially cautious. 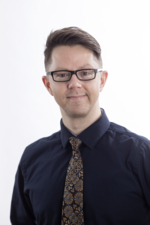 However, compared to other European countries, Norway is actually quite active, but is also not particularly tough,' says senior researcher at NUPI and UiB, Hans Jørgen Gåsemyr. The willingness to discuss human rights, rule of law and other political values in relations with China is the topic when the European Think-tank Network on China in January presents its joint report in several EU institutions. The report, which was finalized in December, has garnered substantial attention, at a time when the international attention towards China’s development is increasing and is turning more critical. NUPI is behind the chapter on Norway, which makes an especially interesting case, considering the six years of political freeze in Norway-China relations, following the 2010 Nobel Peace Prize awarded to Liu Xiaobo. 'Norway has clearly adapted to a reality in which China demands more respect for its interests, and many may believe that the Norwegian China-policy when it comes to human rights and political values is especially cautious. However, compared to other European countries, Norway is actually quite active, but is also not particularly tough,' says senior researcher at NUPI and UiB, Hans Jørgen Gåsemyr. The report, which in late January, is being presented in the European Council's Asia-Oceania Working Party and the European Parliament, shows that the room for discussing political values with China is being pressured. 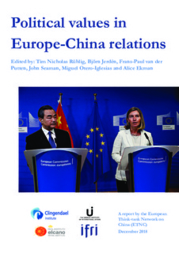 The report studies the situation for individual countries as well as EU relations with China. 'We see that the different European states take different approaches and that political history, economic evolution and, at times, Chinese pressure influence how much and how values are being discussed. At the same time, we see more actors talking about the importance of more unitary European China-policy, in which values are integrated,' says Tim Rühlig, head editor of the report (the Swedish Institute of International Affairs). The European Think-tank Network on China consists of foreign policy institutes and research environments from 19 European countries, among which NUPI is the only one from a country that is not member of the EU. The network was established in 2014 and has so far produced four joint reports. The complete recent report is found here (Norway-chapter from page 63). Want to know more about our research on Asia? Visit the NUPI Europe-Asia Research Centre (NEAR).